Is your young student in a transitional period between student residence and a new living situation? Did you ever consider putting their items into storage? Leaving home for the first time is always an exciting change and adventure. But many families decide to downsize once their children go off to college. While you always want to keep a room open for them, perhaps extra storage would be less of a hassle rather than moving all their items back into the house in addition to purchasing new furniture for their next living situation. Clothing, school supplies, furniture and various other items can take up a lot of space in the home. Here are some ideas to keep the clutter to a minimum. It’s summer – winter is over and the semester is over. Have them keep their essential summer clothing and store the rest of their clothing until a new living situation is secured. Don’t worry, if that favorite dress or shirt is packed away you can always come to the ADT storage facility to retrieve it! Swapping the seasonal items will help keep your home and their temporary room clutter-free. It also saves you the hassle of moving in and out so many items at once! All the extra items from living in residence such as mattress covers, pads, bedding, shower items, bins and organizers can take up a lot of unnecessary space while your student is home for the summer. These are all items that may not have any use again or at least not immediately. Consider selling off items, giving them away, or putting them into storage. Keeping items in storage could also allow you the flexibility to purchase items like a new bed frame or a TV when the sales are right. You won’t have to worry about where to put everything – and everything will be kept in one place for the next move. Don’t let a transitional period turn your home into a cluttered mess. 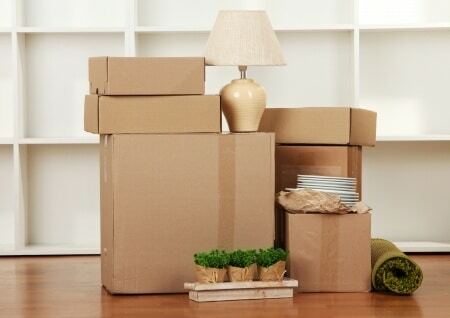 Put items away in a storage facility and have a stress-free summer!